369 p., 13,0 x 20,5 cm. The social unrest and political movements between 1789 and 1801 which are described in this work occurred in the cities of Freudenstadt, Nagold, Ehningen, Tuttlingen, Möckmühl, Knittlingen, Stuttgart, Heilbronn and Pforzheim. 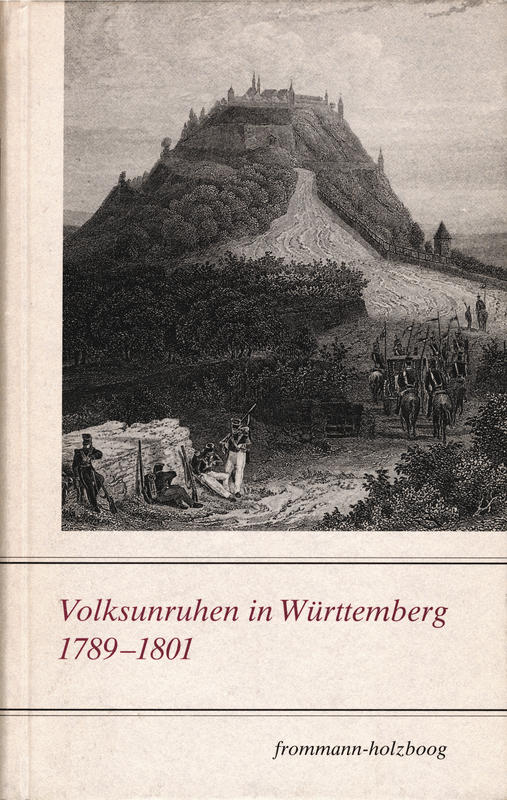 The introductory »circumstantial report« deals with the typical course of these unrests, using many cases as examples, and shows how the rural and the urban population in Germany was much more rebellious than had previously been assumed. The pressure from the bottom up was huge, and was expressed in similar forms of protest as those in France.